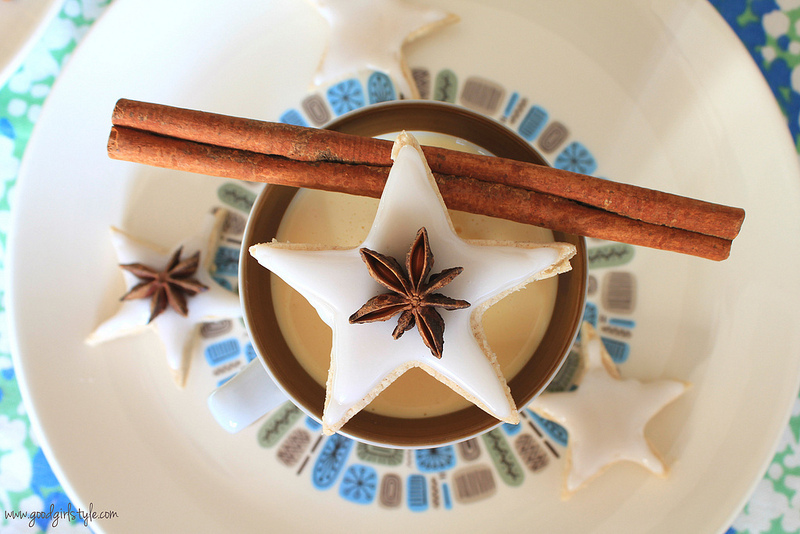 These cookies are quintessentially Christmas-y. They are like Christmas Stars saying, "Be Merry! Be Bright!" Oh my goodness they're yummy, yummy. And pretty. They are everything a Christmas cookie should be. 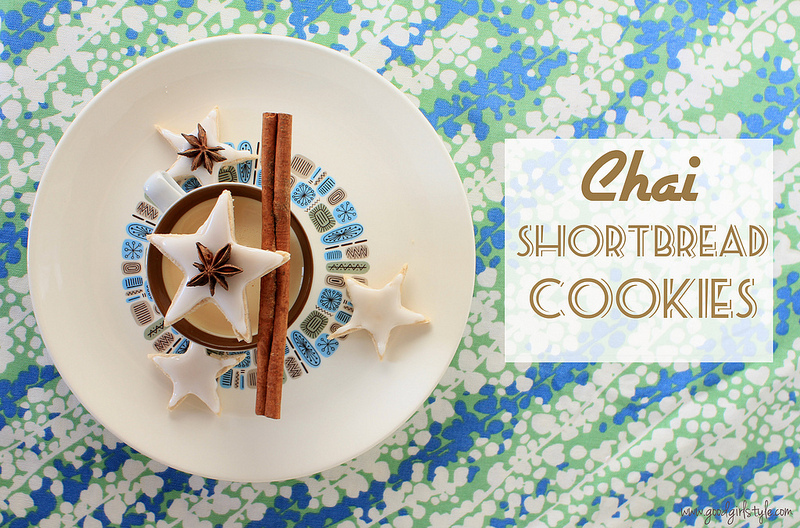 To Begin: Follow the package directions for the cookie mix OR for your favorite shortbread cookie recipe, stirring in the spices to your own liking. Place the dough onto a lightly floured work surface; give it a few good but gentle kneads until it comes together. Flatten dough into a disk and wrap in plastic wrap. Refrigerate for at least 1/2 an hour. Once chilled, cut the dough in half and work with half of it at a time on your lightly floured work surface. Roll to desired thickness (I made some thick and some thin...they both taste great, but the thin ones were very fragile). 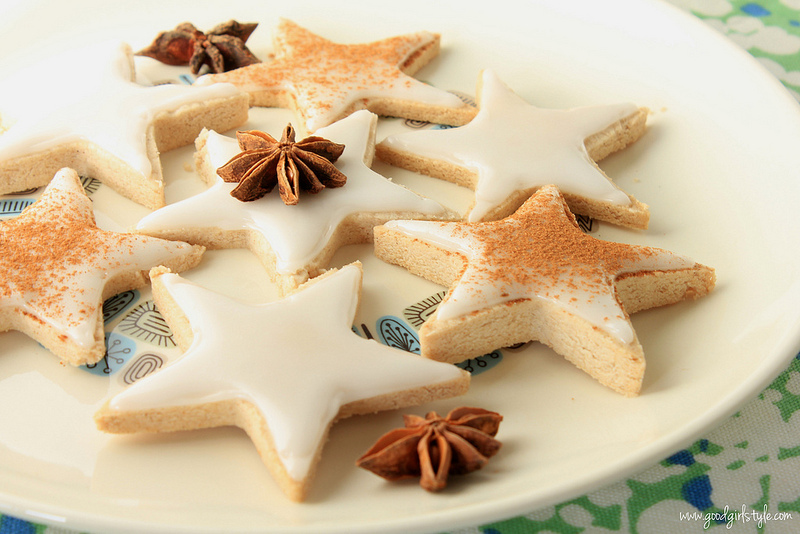 Cut your cookies with lightly floured cookie cutters. Since this dough is fragile, take your time and use a thin spatula to help you move the cookies if need be, flexing the cookie cutters to gently release the dough onto the cookie sheet. If the dough becomes too warm, chill the cookies and dough before baking. Bake at 375 degrees for 12-18 minutes, depending on the size and thickness of your cookies. Repeat process until you have used up all of the dough. Carefully, carefully, carefully slide the cookies onto a cooking rack with a thin spatula. Once completely cooled, make the icing. Sift the confectioners sugar into a medium bowl. Add the corn syrup and flavoring. Slowly add the water while mixing until everything is incorporated and you have a stiff icing for piping the edges. You want to be able to pipe it, so it should be stiffer than regular icing. Put a quarter of this icing into a pastry bag with a very thin round tip, or into a Ziploc bag with the top twisted and the tiniest corner snipped off. Outline the stars with this icing. Now add the rest of the water to the leftover icing to get the consistency of a normal or "flooding" icing. 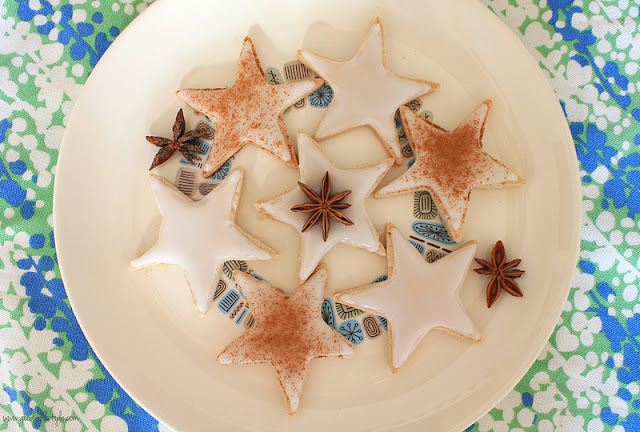 Fill the pastry bag or Ziploc again and flood the inside of the stars to fill them in with icing. Let dry. Sprinkle some with cinnamon, leave some plain, and add Star Anise to some. ENJOY in good Christmas spirits! PS> I served these with Pumpkin Spice Eggnog. Okay so these look absolutely amazing...and I would never think to make chai cookies!